our perfectly imperfect life: He can write his name! 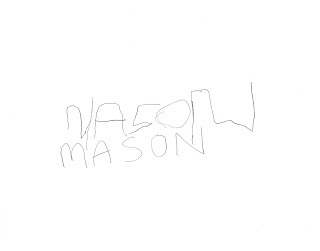 Over the past few months, Mason has been learning how to write his name. He has done so good and can now copy what we have written ... all by himself, with no help from us. He is so cute as he writes, he says, "Up. Down. Across. And up again."